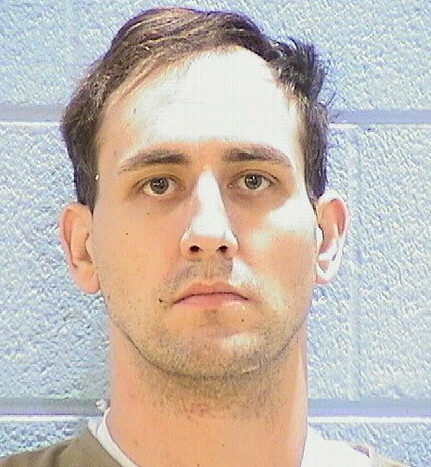 Say hello to convicted felon and parolee Andrew Haussler. Or maybe he’s Sara Ching Yee Seng. Or possibly Katie Michaud. Or… Well, we’ll get to that in a second. Haussler, 29, was arrested earlier this month after police responded to a domestic disturbance in the 1500 block of North Kingsbury in Lincoln Park. Officers say Haussler gave them a temporary Illinois driver’s license bearing the name Steven Orzech. But a search of state records showed no match for the ID’s information, police said. When cops searched Haussler, they allegedly found fifteen credit cards issued to various names and two more temporary Illinois drivers licensees—one in the name of Christopher Sturtevant and the other in Haussler’s name. All of the IDs had Haussler’s photo on them, police said. Among the credit cards were Visas bearing the names of Katie Michaud and Sara Ching Yee Seng, according to court records. Haussler is charged with two felony counts of possessing a fictitious ID card; three felony counts of possessing a counterfeit credit card; and obstructing identification. Hausler was paroled on February 1 after serving a fraction of three concurrent one-year sentences for narcotics, driving on a DUI-revoked license, and aggravated fleeing police. In May, he was charged with three felony counts of aggravated ID theft of a person over age 60 after he allegedly purchased $1400 worth of merchandise using a woman’s Nordstrom account in River North, prosecutors said. For the May incident, bail was set at $1 million. He skipped bail, failing to appear in court during the summer. Authorities lost track of him until he was arrested this month. Records show Haussler has been sentenced to a total of 17 years in prison since 2011, but he keeps going free thanks to the system’s generous parole and concurrent sentencing allowances. His previous prison sentences include two years for narcotics in 2013; two years for theft in 2011; a concurrent two years for retail theft in 2011; another concurrent four-year term for ecstasy manufacturing in 2011; and yet another four-year term for amphetamines in 2011. The state still hasn’t revoked Haussler’s parole, despite the fact that he has been charged with eight felonies since being released from prison in February.